Ladies and gentlemen, here’s what this means. Banks will probably raise their Prime rate by 0.25%. Variable rate mortgages will go up by 0.25%. The Bank of Canada will monitor how this rate increase impacts the economy and will act accordingly. That’s it. There really isn’t more to tell you or more that you should know. Historically, the Bank of Canada used to raise and lower the rate 2 to 3 times a year. This all changed after the US sub-prime mortgage rate crisis in 2008. Since then, Central bankers around the world cut and reduced their Target rate to stimulate their economies. We seem to have forgotten that rate adjustments are normal. 2008 was 9 years ago. Maybe it’s time for a history lesson. We can learn from our past. Historically, Variable rate mortgages have outperformed fixed rate mortgages in over 80% of the time. Fixed rates are priced from the 5 yr Gov of Cda bond yields but there is a direct correlation to the Bank of Canada rate. Bank of Canada sets the rate to stimulate the economy or slow it down. Bank of Canada has target inflation rate of between 1.00% and 3.00%. (today it is very low at 1.3%) but the forecast is for stronger economic reports this year, which is why Poloz raised the rate. mortgage rates have been at historical lows for over 7 years. borrowers are qualified at the Bank posted 5 yr fixed rate which is 4.64% today and has been as high as 7.39% in the last 9 years. mortgage defaults are at all-time or near all-time lows under 0.30% nationally, but as low as 0.14% in Toronto. It’s amazing how very few are talking about how we are still enjoying near record low rates. And how we are managing our debts and paying them very well, thank you very much. Don’t bury your head in the sand but let’s focus on the positive. 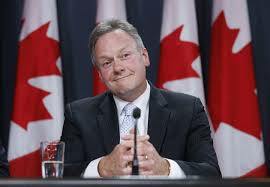 The Bank of Canada thinks our economy is improving and there will be more jobs created. There’s more positive than negative in Canada, I’d say. Canada is doing way better than most of the world. We have it pretty good here. Previous Previous post: Mortgage rates going up a little.. for now. What should you do? Next Next post: Banks pass on rate hikes but not the savings.. Shame on the BANKS! CanadaMortgageNews.ca Bank of Canada rate hike.. it’s really not a big deal.